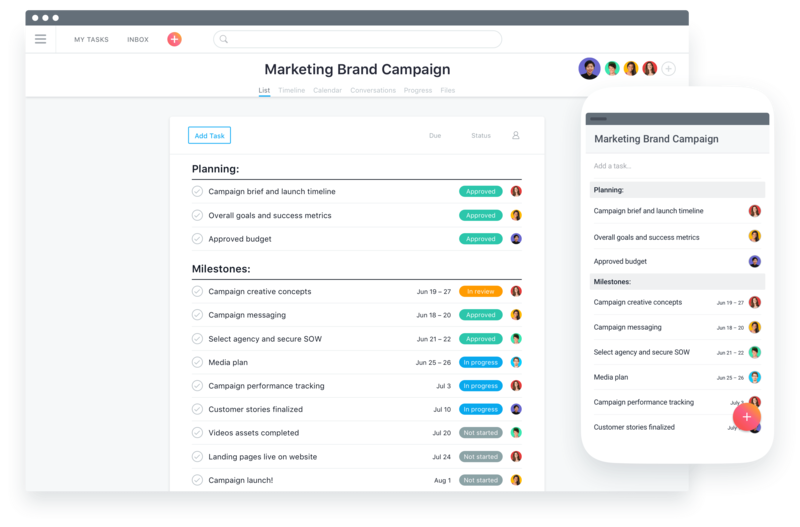 Asana is work management software that helps teams coordinate and manage their work, tasks, and projects. It helps organizations move faster by making sure everyone knows the team’s plan, process, and who is doing what by when. 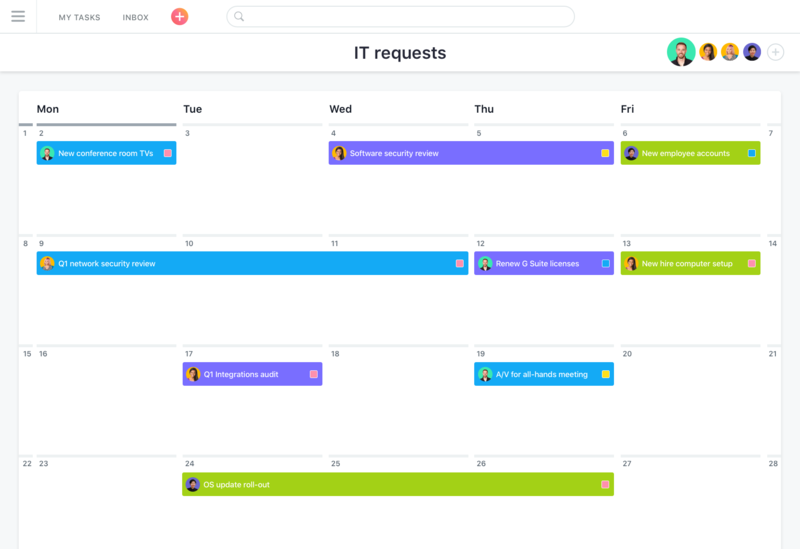 You can also use Asana to manage your work to-do list for the day, week, or month (in a "My Tasks" view) -- so you’re never left wondering what to work on next. 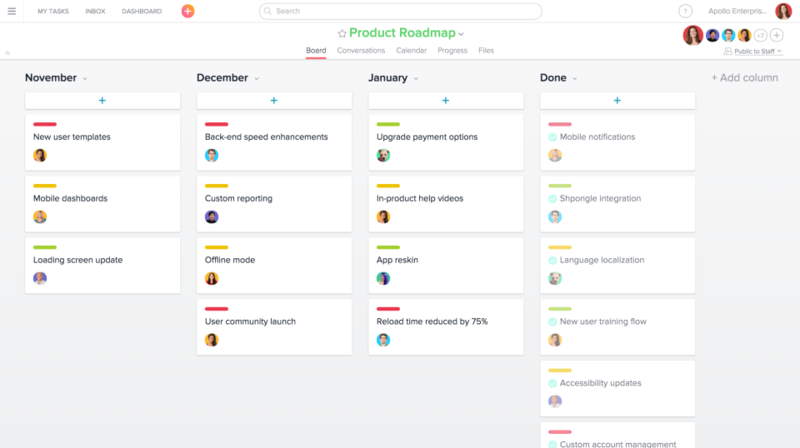 In Asana, teams can break down work into projects and tasks. 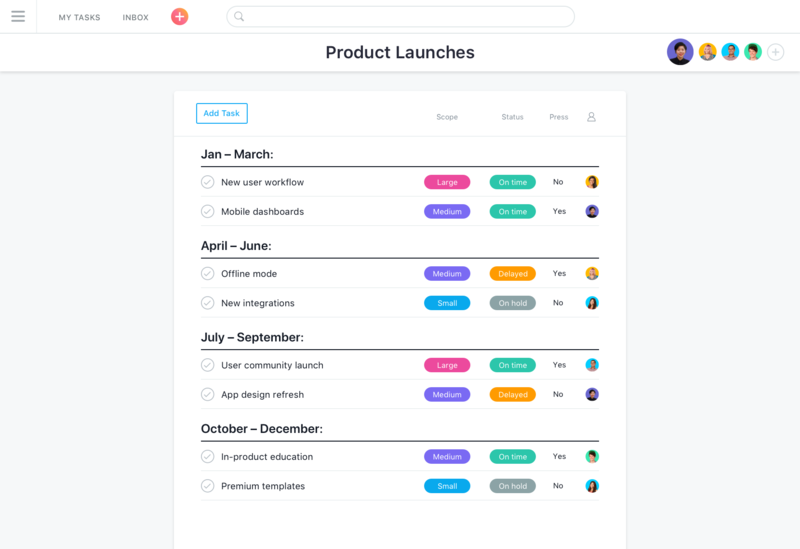 Calendar view: see any list of tasks on a calendar. Files view: see a gallery view of all the project’s attachments. 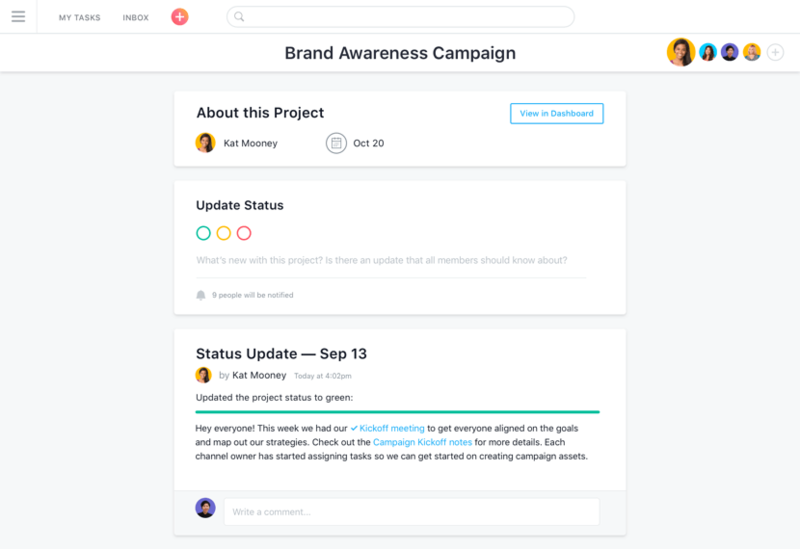 Project followers: add teammates to projects to keep them up to date on work. 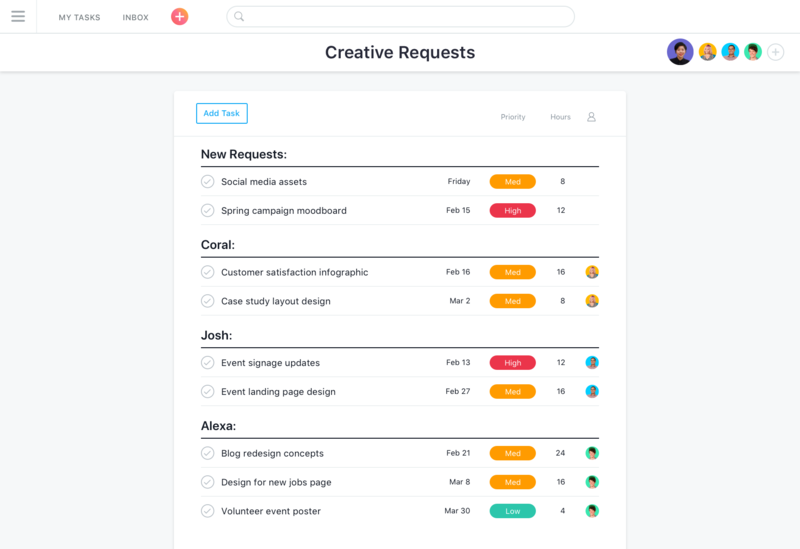 Comment-only access: give certain project members “comment-only” access so they can't edit the project or tasks. Progress view: send project status updates and see project progress. Project conversations: start a discussion with all project followers to keep momentum going. 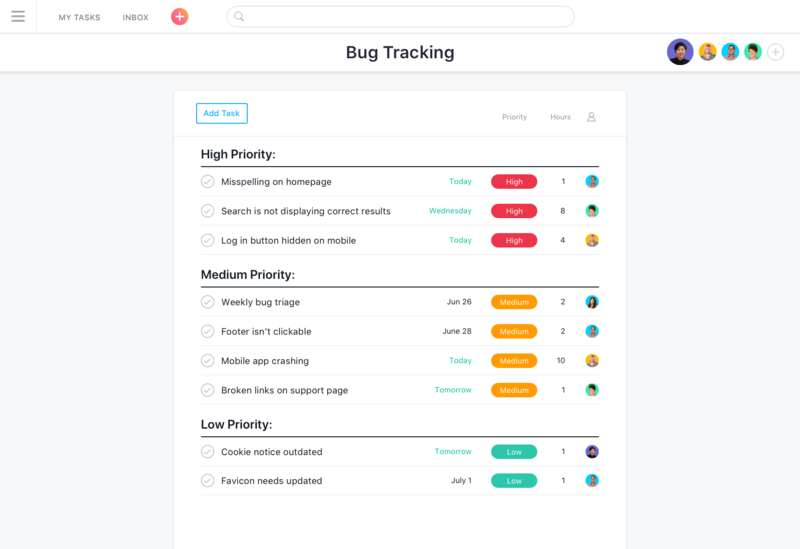 Assignees: give each task a clear owner so everyone knows who’s responsible. 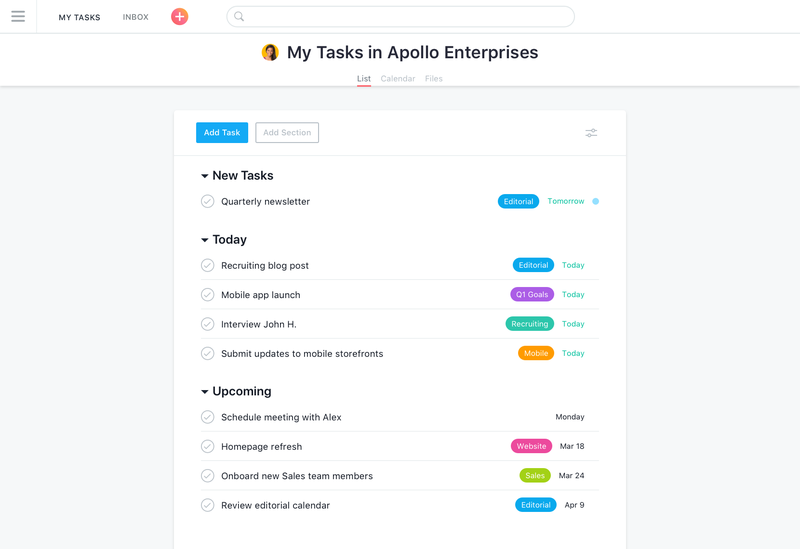 Subtasks: break up tasks into smaller parts with individual owners. Start dates and due dates: specify a start and end date for tasks. Attachments: attach files from your computer, Dropbox, Box, or Google Drive. Dependencies: mark one task as waiting on another so work happens in the right order. Task followers: add teammates as followers so everyone stays in the loop. 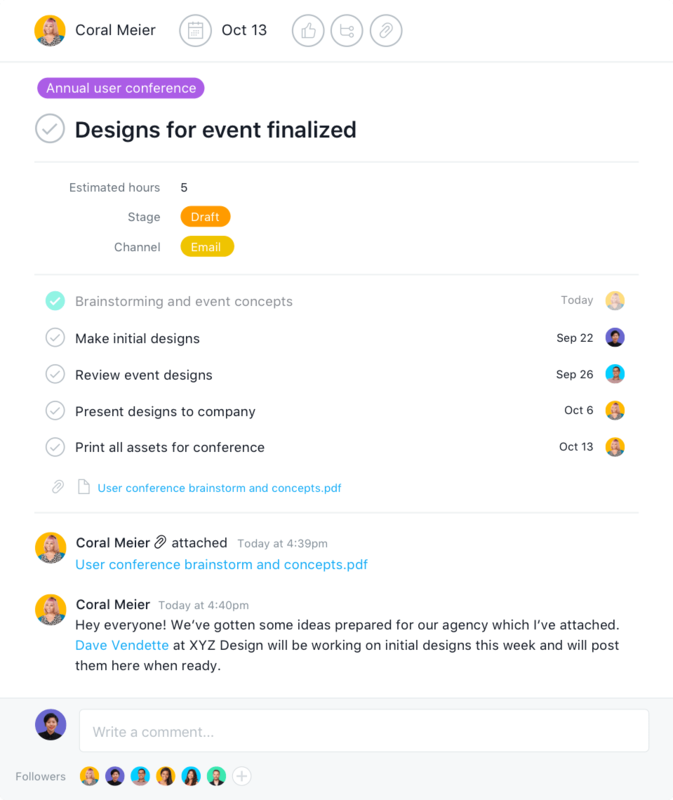 Comments: comment directly on a task to ask questions and @-mention teammates or other tasks. Custom fields: keep important information front and center by adding custom fields to tasks. 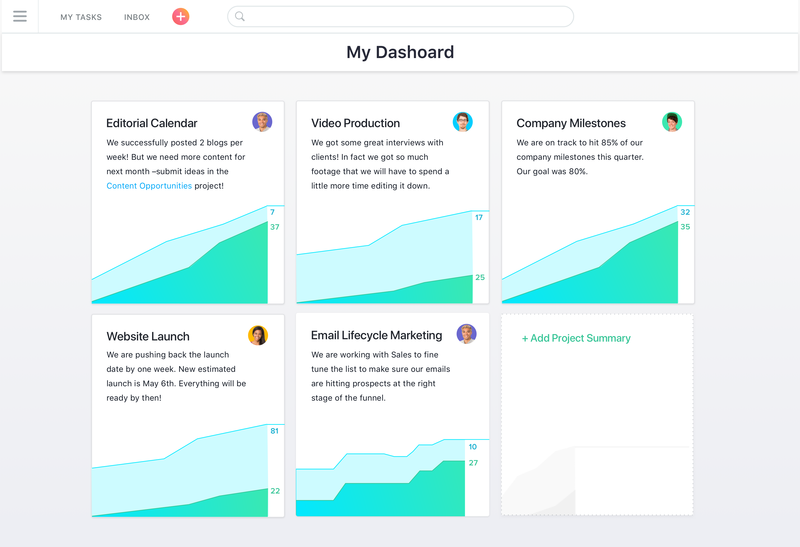 Asana also connects with dozens of other apps and integrations. 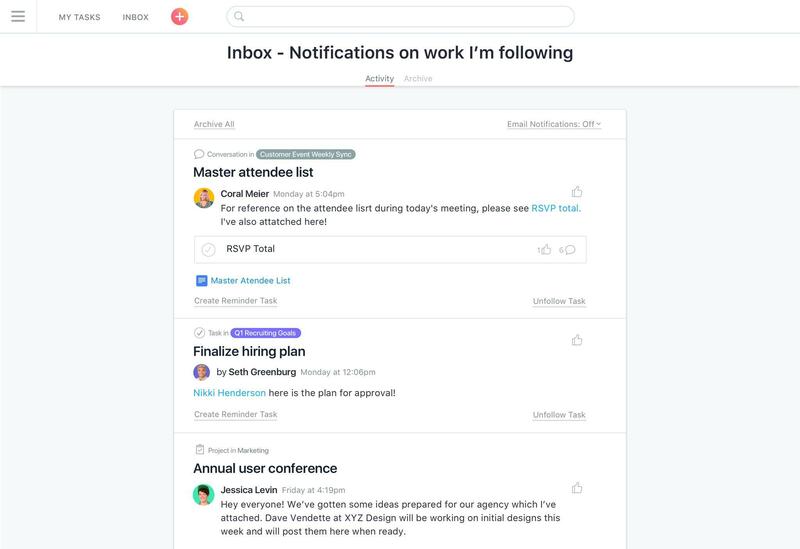 For example, you can add tasks directly from your email inbox by forwarding an email to Asana. The subject, content and attached files are then transferred into the newly created task. It is also possible to synchronize Asana with your Google calendar in order to view your weekly planning. 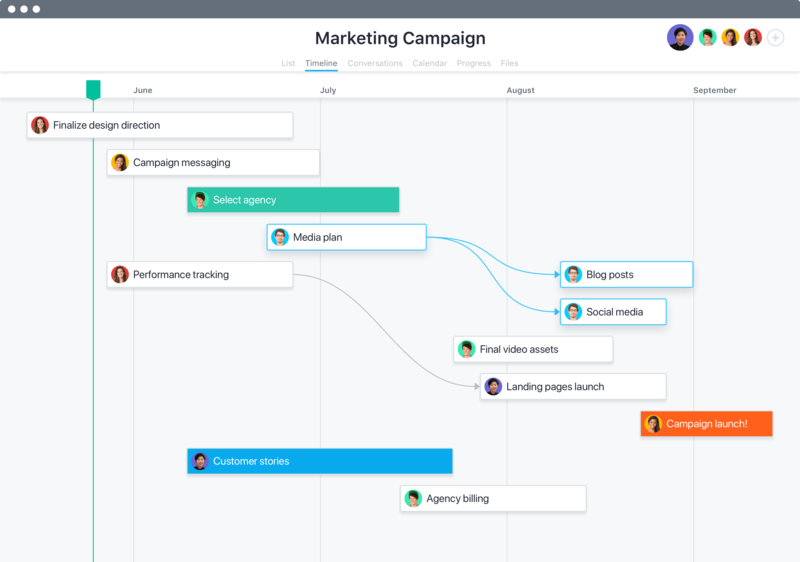 Asana boasts an extremely user-friendly interface and is great for teams of any size.